When you're a spy, you see a lot of strategies. It's your job to see grand strategies. Regional strategies. National strategies. Most of all, individual strategies. It's your job to see them and to understand them, because that's how you know when threats exist. To identify threats, you're infiltrating an enemy's organization. You're figuring out who is making decisions. And who isn't. You're collecting intelligence on what they know. And what they don't know. You're figuring out their plans. Whether they mean you harm or don't. Whether they're a threat. Whether they're going to attack. Hopefully, before it's done. You're uncovering the enemy's strategy. That's the job of a spy. But it's not only enemies' strategies you see. You're also talking to allies who have strategies of their own. You're understanding what they want. What they don't. Hopefully, they'll tell you what their strategy is. But sometimes, they don't. Then, there's your side's strategy. Your side's strategy is why you're a spy. It's why they send you to foreign countries and back alleys and diplomatic receptions. You're there to serve your side's strategy. When you're a spy, you have a front row seat to a lot of strategies. Which means you see some strategies succeed. And you see many more strategies fail. Sometimes, a strategy fails because of logistics. Or because the enemy strikes first. Or because the strategy was overtaken by events. Or because it was made obsolete by inaction. But most strategies fail earlier. Most strategies fail before a conflict starts. Most strategies fail before an alliance is formed. Before even war is declared. Most strategies fail because they're made the wrong way. Both of his books are interesting and to the point. I’ve read entire shelves of books on strategy and game theory. 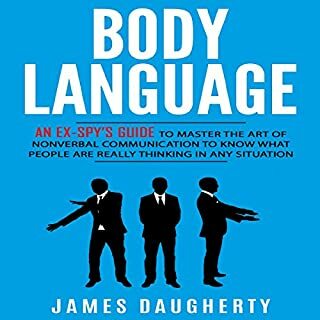 This brief book is the most common sense and applicable approach. 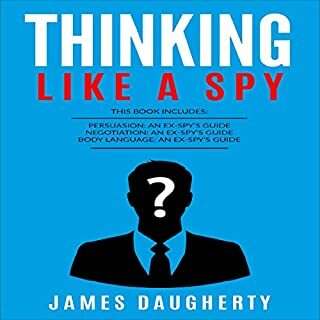 I highly recommend this and his other book on thinking. Really great read, highly recommended ! 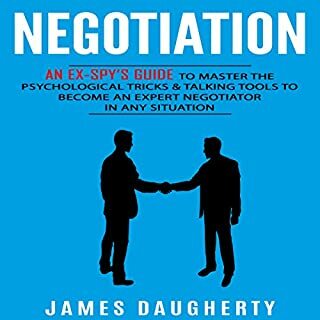 Loved the narrative, anecdotes, deduction and the breakdown of the process of tradecraft strategy. 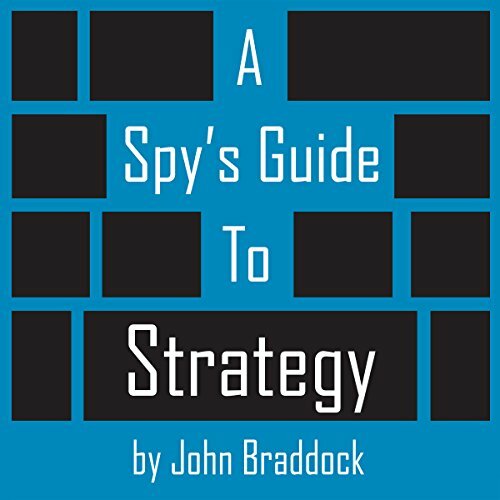 Gives the reader a informative insight of modern day espionage. Well written, organized and easy to follow organic. Good book I will read this one again. The narrator is awesome. 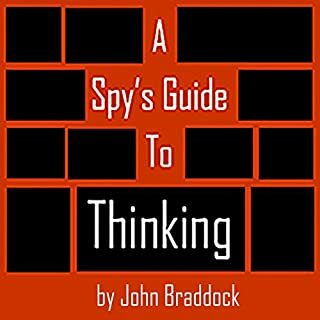 I like this as much as a Spy's Guide to Thinking. Definitely get the Kindle book because a lot of the information is visible. The scripting is excellent either spoken or read. Very in depth and entertaining which makes it easy to master the material. This is a very practical strategy guide. I find it very interesting relative to other guides and it’s especially useful to think about game planning other people’s end game and how it interacts with yours. I enjoyed the book overall. This really isn’t a guide on strategy development and the useful information is really obvious. The stories are interesting and it’s an overall fun book to read anyway. Very hard on the ears, easy words, too predictable. Every kind of boring thing seems to be in this speaker's voice. Good. Not Bad. Not Great. 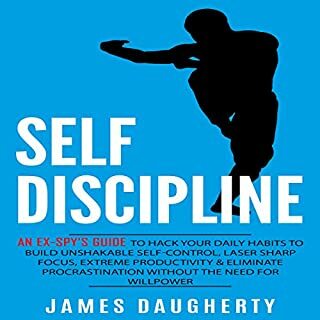 I found this book interesting and the naration was good. The best way I can describe it is this. Have you ever written a really good paper? One you know hits all the marks and is gonna get you a high grade? Have you then looked and realized you missed the page/word count requirement? So you then have to go back and add a bunch of fluff that gets you there but kind of now makes your great paper repetitive. that is how you will feel about hearing the words "people, places, and things" or "zero. sum. game.". There are times it makes valid and perfect sense, and then times you feel like it was a "I can throw that phrase in here for word count" moment. Still overall I enjoyed it. Timeless informative and to the point.Easy to see why not to be trusting towards people that never worked in the filed. I found myself wondering how a topic was reached, far too often. Subjects changed frequently with nothing tying them together other than the audio previously heard in another part of the chapter. 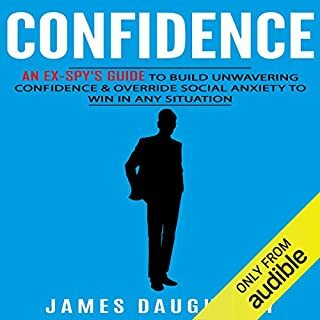 Putting the pieces together was easy, for the most part, but I expect this may be due to it being an audio book rather than being able to easily distinguish context changes through headings or changes in paragraphs. Overall it was pretty good.